The House family loves the history of the town and home they live in, and hope you do too. Check out the pioneering spirit of Hockley and a monument to the people who began to shape the history of the area at House Museum, located next to the mansion. 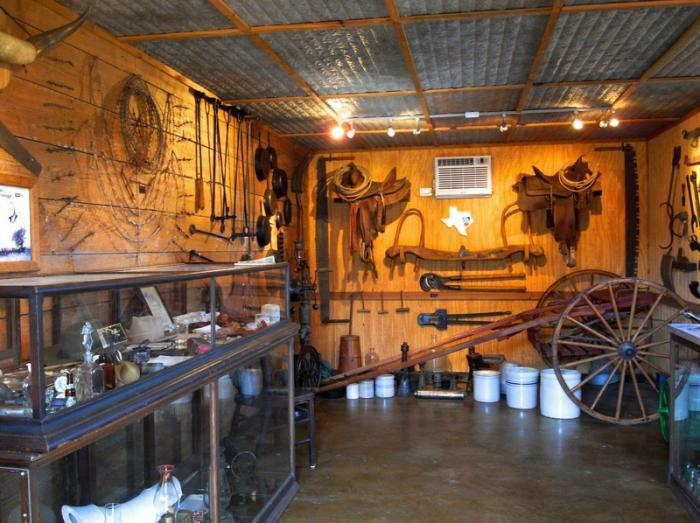 Hockley, Texas was a wild place in the late 1800s, and the House family had a large part in shaping its history. With no fences, cattle grazed from Columbus to Houston. The House’s cattle brands can be seen in the House Museum along with pictures of the original home and House ancestors. The Texas map inside the museum displays a large red area where the Houses family ran their cattle. 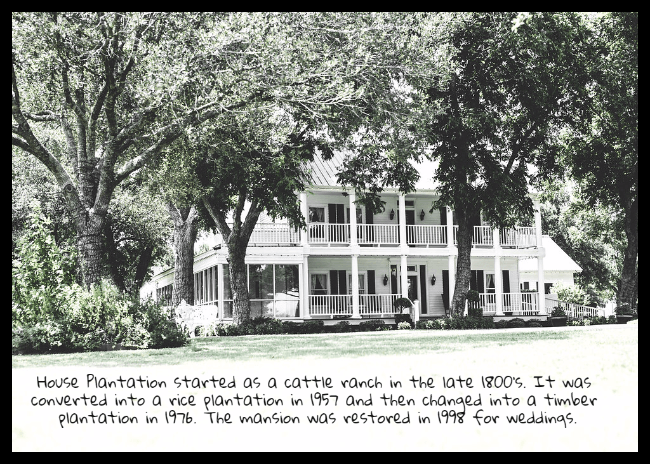 However, what they began as a working ranch, raising Brahamas and mixed cattle, eventually changed in 1957 to a rice and soy bean farm tended to by the House family; and then changed again in 1976 to farming live oak and pine trees. Calvin House and his wife Pam still actively maintain the ranch, a 400 acre tree farm and House Estate. House Estate was renovated in 1998 with Southern charm and rests comfortably on 18 acres designated for special events, such as weddings, that they now host. You may see Calvin or Pam at your event; and if so, stop and ask them questions about their beautiful home. You will enjoy many wonderful stories such as this one. Calvin’s own father, Varis, as a young boy around 8, was lowered by rope into the ground and hand dug the family water well using a bucket and shovel to remove the dirt. It is still in its original location to the right of the mansion, next to the water cistern, which ran all the water to their home for many years as well as one of the original cattle water troughs. Come visit our home, here at House Estate – Houston Wedding Venue, and let’s discuss how to make your dream come true.